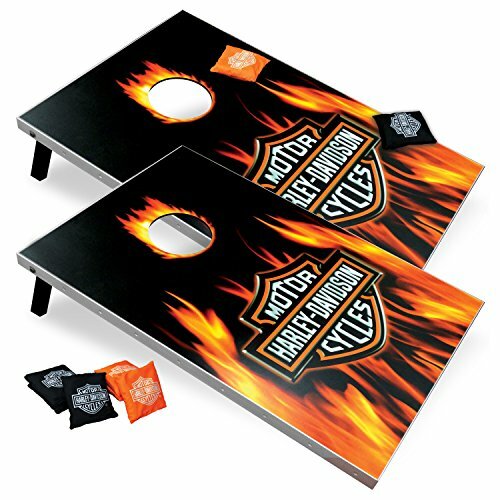 Harley-Davidson Flaming Bar & Shield Bean Bag Toss. Two wooden game boards with H-D flaming design. 8 bean bags: 4 orange and 4 black. Bean bags features a white Bar & Shield logo. Custom carrying bag for easy transportation. Board Dimensions: 24'' x 35 1/2'' x 1 1/2''. If you have any questions about this product by Harley-Davidson, contact us by completing and submitting the form below. If you are looking for a specif part number, please include it with your message.